Edited by croquest87, 18 April 2018 - 09:59 PM. I bought DELPHI PACKARD GM 56 SERIES connectors off ebay, but im yet to install them. 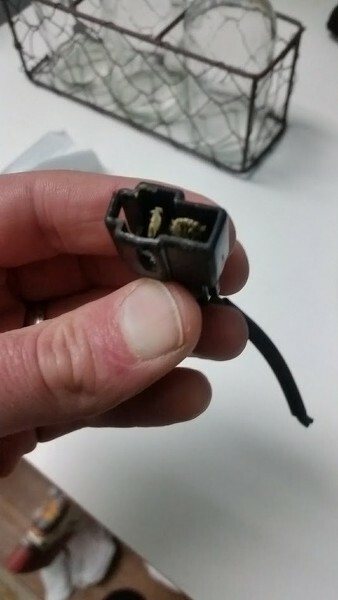 Don't totally quote me on this ... but I feel like one time I checked typical automotive speaker connectors and they fit perfectly. If I'm remembering right you could go to a junkyard and probably cut a dozen off for basically free. Thank you gentleman will look at both options. Hey croquest ... I got a 97 Talon parts car in my driveway right now. I was removing some stuff the other day and saw this clip hanging in the engine bay so I clipped it for you. If you can use it and you want it, shoot me a PM.